I think you will agree, if we say that the Tiger is one of the most charismatic tanks of World War Two. 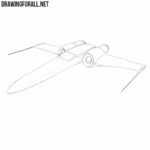 And today we present you a new drawing tutorial dedicated to this powerful vehicle. 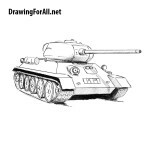 Recall, that in one of our previous drawing lessons we shown you how to draw a T-34 Tank, one of the main enemies of the Tiger Tank. 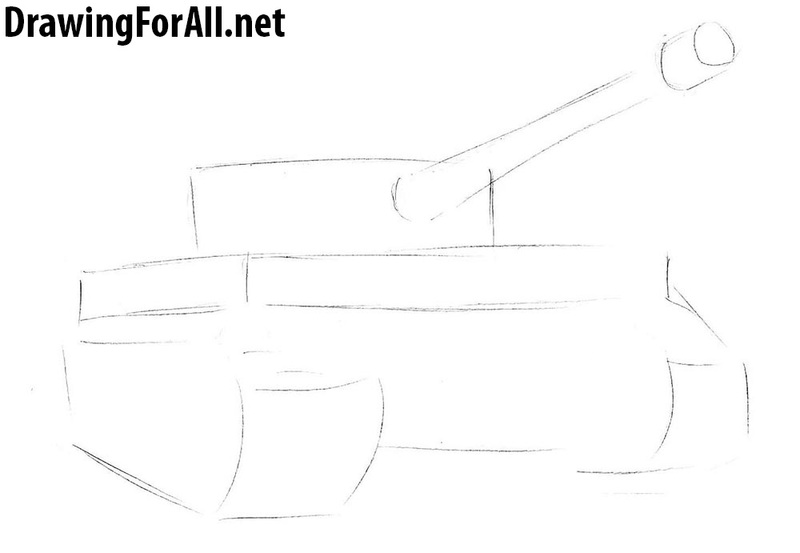 And so, how to draw a Tiger tank? Scroll down and learn it right now! 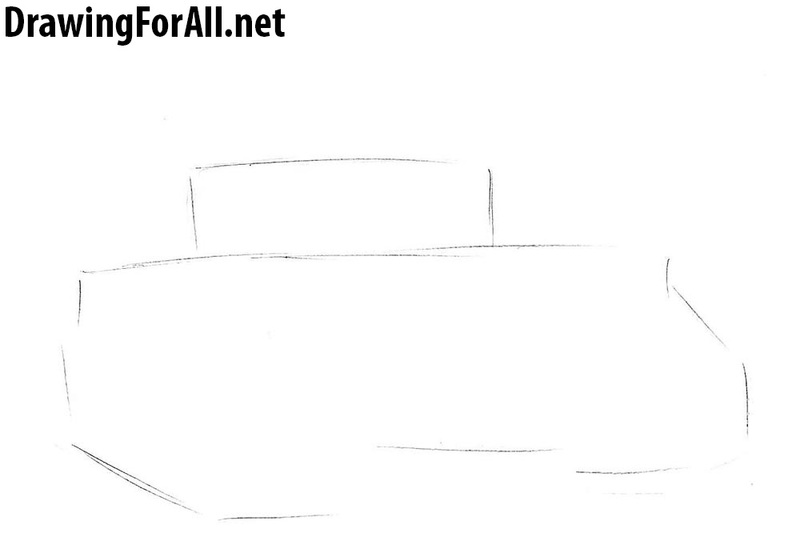 We begin, as always, with the main outlines of the vehicle. 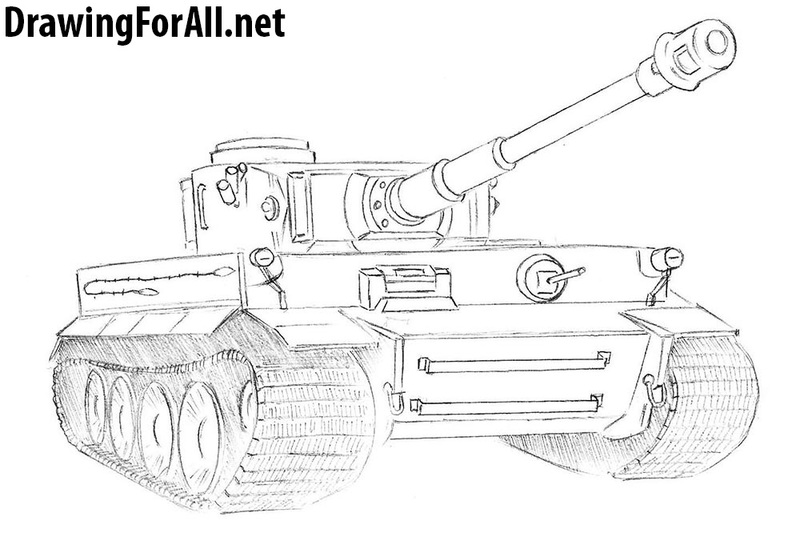 In our case, we outline the contours of the body, turret and tracks. All these outlines should be drawn using simple lines. Please note, that all the angles in this step are straight. Smooth elements are not presented in this step. 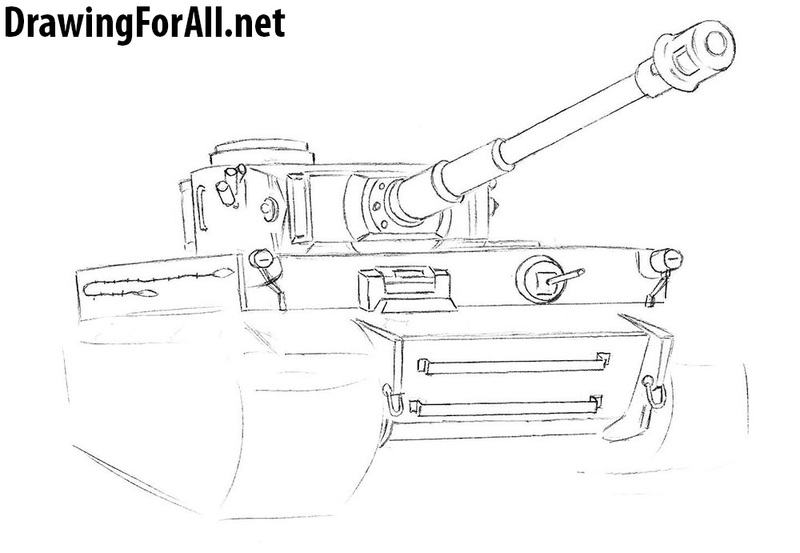 Now that the silhouette of the Tiger tank is ready, you can proceed to its details. We begin, as always, with the upper part. Make the necessary lines on the barrel, draw its movable base, firmly fixed on the body of the tower. At the top of tower draw the access hatch. Look at the tower of the tank. It looks too difficult, but it isn’t so. 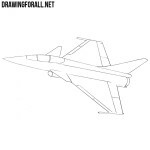 In this step we finish drawing this part of the Tiger, and it will be very easy. First circle the barrel by straight lines, deleting the extra touches. Draw details on the barrel and the mobile base of the barrel. Then circle the hatch and draw the fine details on the tower. 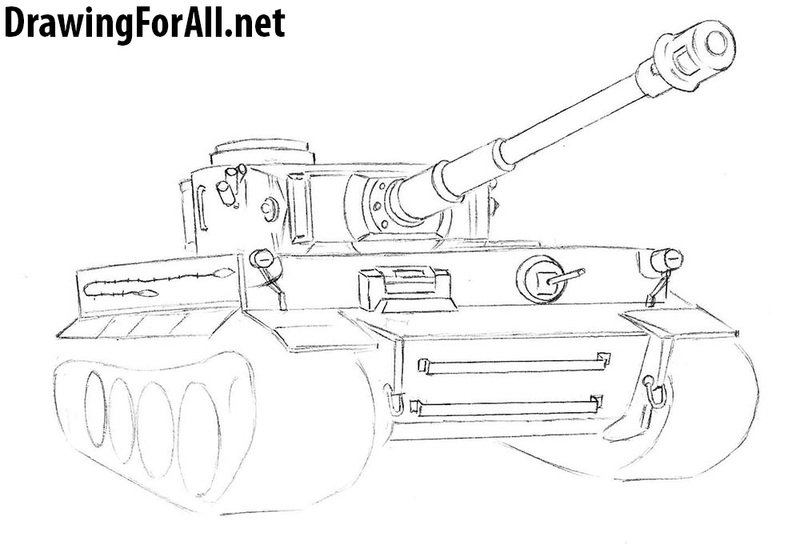 Draw details of the front of the Tiger tank, or rather, their outline. Then outline the contours of the wings – protective plates which cover the chassis of the tank, ie a caterpillars. And now circle the spotlights, gun barrel and other components of the front of our tank corps. Note, that they must be drawn properly. Now circle the wings of Tiger tank. 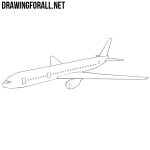 Draw the straight lines, vertically disposed over the entire area of the side wings. Then draw wheels of the tracks and fix the outlines of the tracks using smooth lines. Now draw the panels of the tracks. First draw the long horizontal lines, and the short strokes on them. 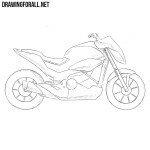 In the same step draw the wheels in details. At the end of the step add shadows to the tracks, using hatching. Apply very light shadows on the different parts of the Tiger tank, namely the lower side of the barrel, the bottom of the movable base of the barrel and the lower part of the body of the tank. 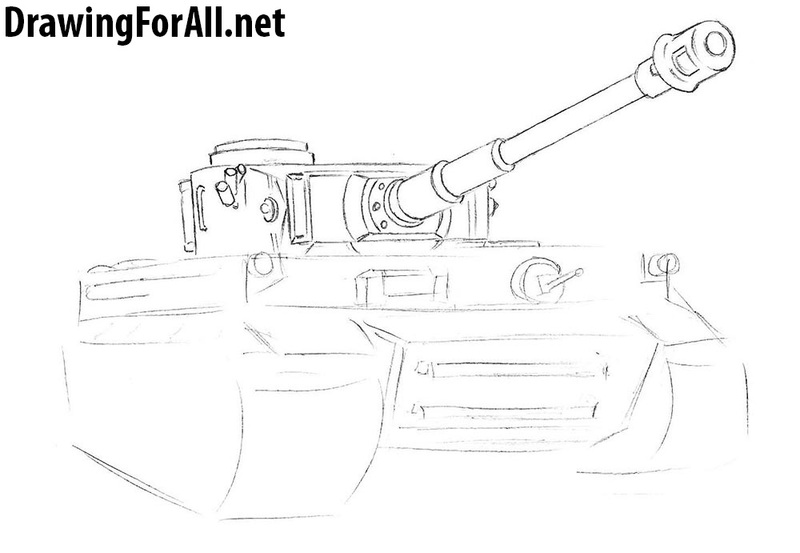 It was a hard drawing lesson dedicated to how to draw a Tiger tank step by step. 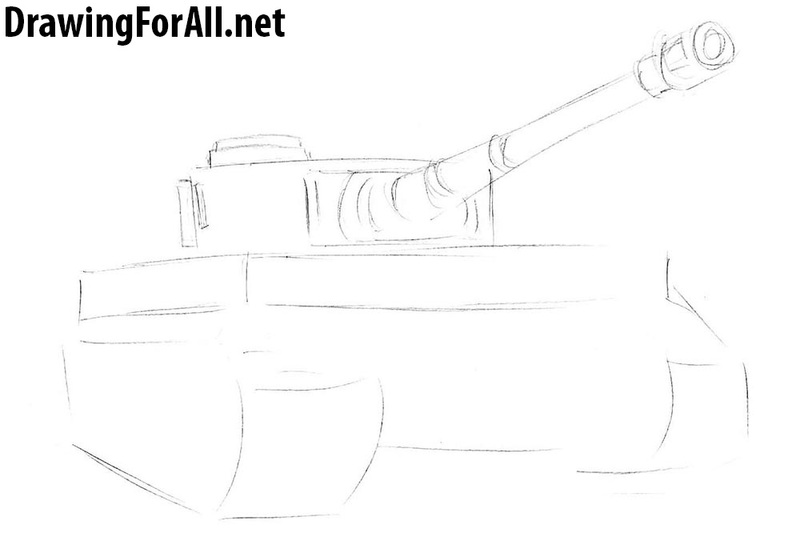 If you managed to draw the tank without too much difficulty, you’ll enjoy our complicated lessons on how to draw a soldier of the Red Army, how to draw a samurai and how to draw Mercedes S-Class. 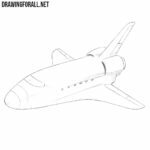 Do not forget to subscribe to us in Google Plus, Pinterest, Facebook and other social networks, to keep abreast of all new drawing lessons.